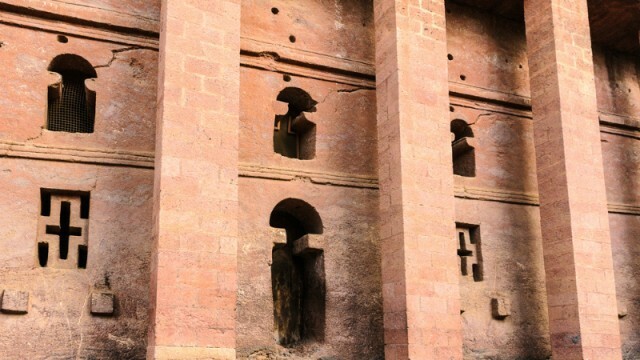 People have been worshipping at — and marveling at — the rock-hewn churches of Lalibela for centuries. These intricately carved monuments, which collectively comprise a UNESCO World Heritage Site, are some of the oldest and most interesting in Africa, and the largest churches of their kind in the world. While hundreds of visitors see Lalibela every year, their origins and the cultural practices surrounding them remain largely a mystery. 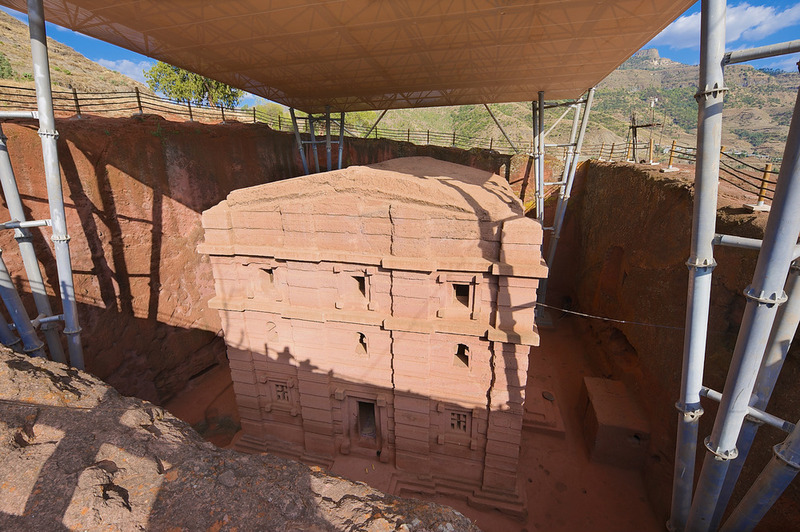 But here are 10 things we DO know about the rock-hewn churches of Lalibela, Ethiopia, from how they were constructed, to the modern rituals that take place in them. Although nobody has been able to figure out an exact construction date on the churches, it’s thought that they were built between the 12th and 13th centuries. Some scholars believe the churches continued to be built into the 14th century as well. While you might see one the most famous churches (the Church of Saint George) in most pictures featuring Lalibela, there are actually 10 more of them. The churches are set up in four different groups scattered around the town, including the northern group, eastern group, western group, and two farther afield. 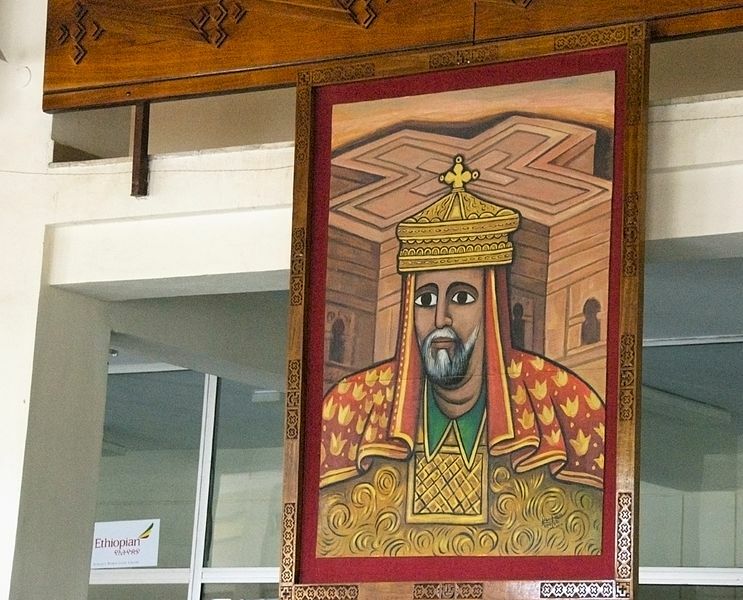 Lalibela was an actual person and the churches in the city are attributed to him. He was considered a recluse earlier in his life, but later became king of Ethiopia, only to become a recluse again. Lalibela is thought to have built ten of the churches while he was alive. 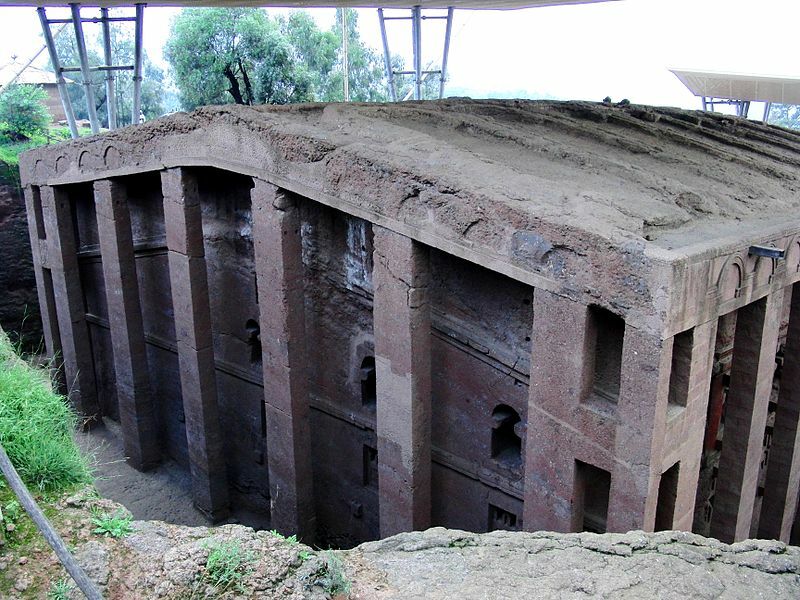 One of the rock-hewn churches (Bet Medhane Alem) is thought to be the largest monolithic church in the world. This puts it ahead of similar churches that were carved out of rock in Bulgaria, France, Finland and Cappadocia, Turkey. The churches of Lalibela host one of the largest Timkat festivals in the country, and pilgrims from all around the province converge in the town for it. During the festival, pilgrims participate in three days of singing, dancing and festivities around the Church of Saint George. 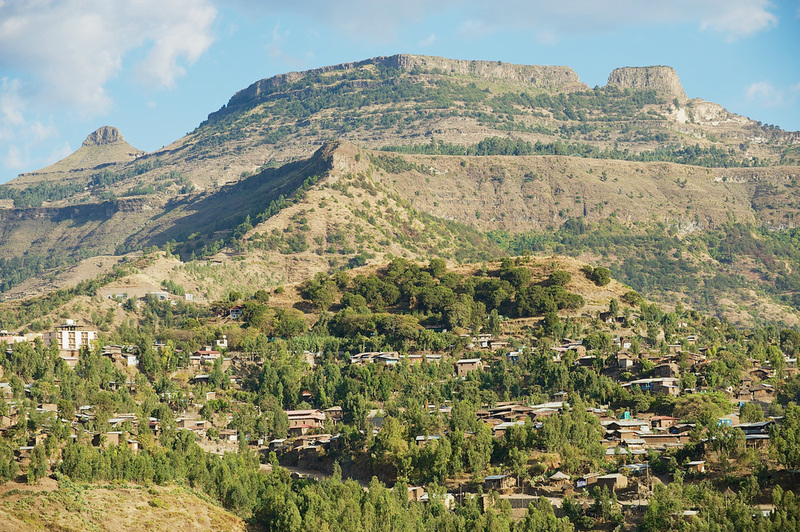 The town of Lalibela only has around 10,000 people, but over 1,000 priests participate in religious rituals at the churches throughout the year. There are regular processions in and around the churches outside of the Timkat festivities. Unlike most churches, the ones in Lalibela weren’t actually built from the ground up. Instead, they were excavated and carved out of the ground with hammers and chisels. The tallest (or deepest) church is over 40 feet high (or low), depending on how you look at it. Europeans didn’t lay eyes on these works of architecture until the 1520s, when Portuguese explorer Pero da Covilha and priest Francisco Alvares visited them. The priest wrote, “I weary of writing more about these buildings, because it seems to me that I shall not believed if I write more.” While another Portuguese visitor came a few years after Covilha and Alvares, no other Europeans came for another 300 years! 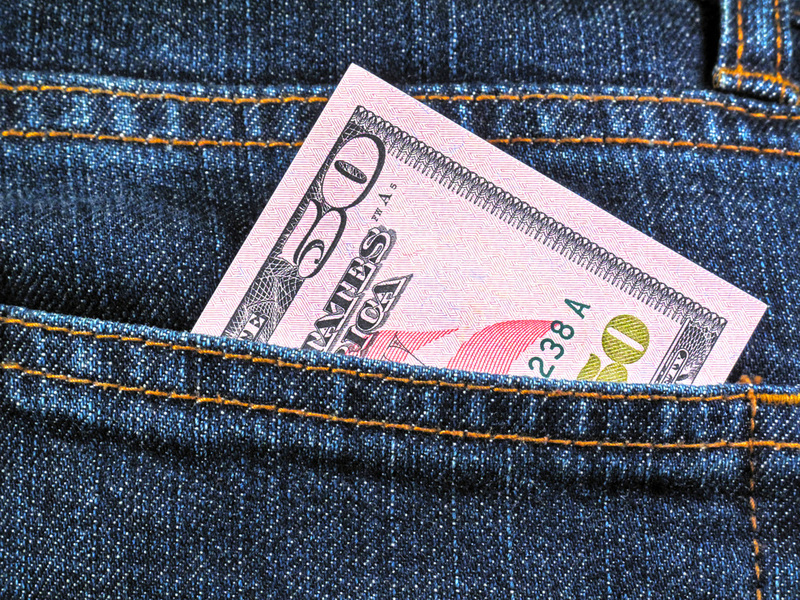 If you want to visit the churches, prepare to pay. Visitors to the region can’t just waltz into the area, instead they will have to pay US$50 in order to see the churches. While the price might seem steep compared to other churches in Africa, if you came all the way to Lalibela, you might as well fork up the money and pay to see these incredible works of art. 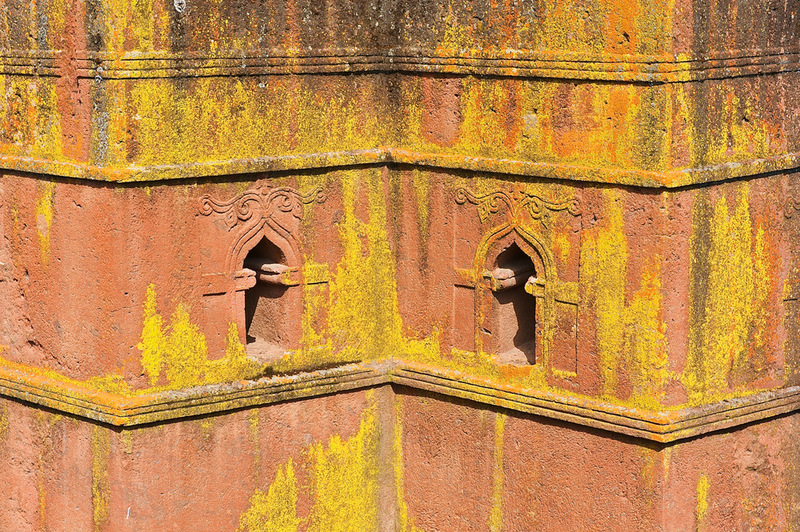 The rock-hewn churches in Lalibela are certainly an ancient marvel, but they aren’t the only ones in the country. Located in northern Ethiopia, the Tigray region is home to far more of these churches than Lalibela, numbering around 150 of them. The churches are spread out all the way between Axum and Mekele. However, you’ll need to do some serious hiking and climbing to go inside them.